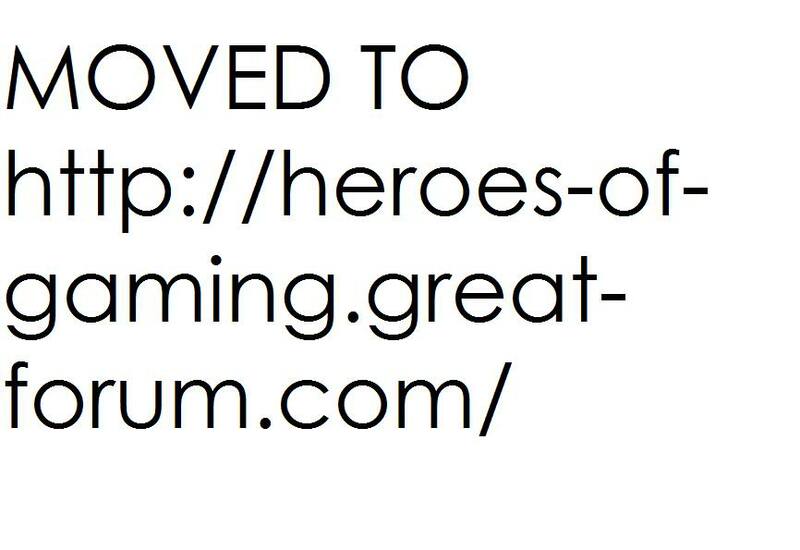 MOVED TO: http://heroes-of-gaming.great-forum.com/ » News Area » News » Forum Re-arrangements. Today the forum will recieve a major change. The Gaming section will be merged into just one forum, which will be placed under the 'General Chat' category. In its place a new Design forum is opening, specifically for discussing Scenario Design and Modding. Also note that this means the entire Off topic and Community Voice category will be merged into the General Chat one.